Still, Leo didn’t even flinch when we told him we had to cancel his birthday party for now. This kid who goes completely ape when his brother says “meow” to him was totally cool when his Chuck E. Cheese birthday party got canceled. He’s a mystery. Meow meow. He didn’t ask for gifts this year–just donations to the homeless, who he prays for every night. He says when he grows up he wants to be a millionaire so he can buy everyone houses. Around these parts, that’s going to make one person really happy. Even though he didn’t ask for gifts, his family had fun finding things for him anyway, and the gifts say a lot about who he is. 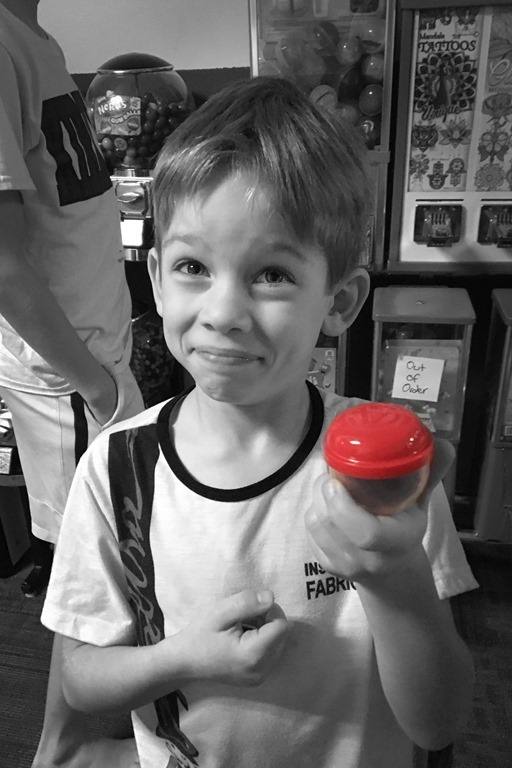 The perfect gift for a kid who owns a gumball machine, a cotton candy maker, and a claw machine. 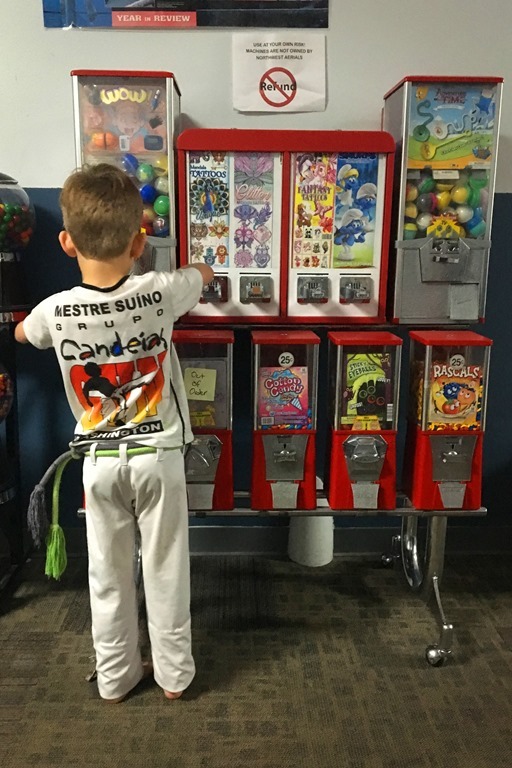 Every Wednesday after capoeira, he goes to the quarter machines to do some shopping, and don’t try to tell him he’s throwing his money away. He’ll hold up a microscopic pink rubber unicorn and smile like a lawyer who just won a big case. And it’s true. The joy this kid gest from spending a quarter each week on a tiny piece of plastic is worth the $.25. We’re going to have to make sure Leo never finds out about Vegas. It’s his favorite. 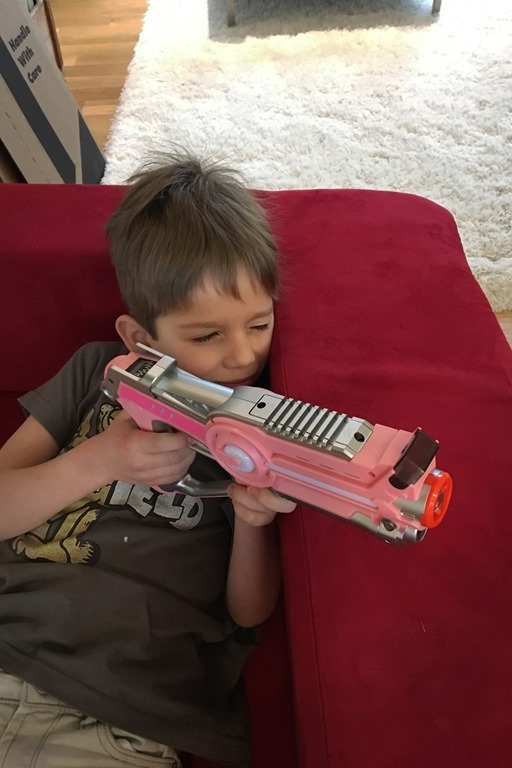 After an epic battle in which he kills all the zombies and their mothers, he comes up to me and says, “Some people think pink is just for girls, but they’re wrong. Pink is for people who like pink.” Then he shoots the zombie that was just about to eat my brains and tells me to thank him later. 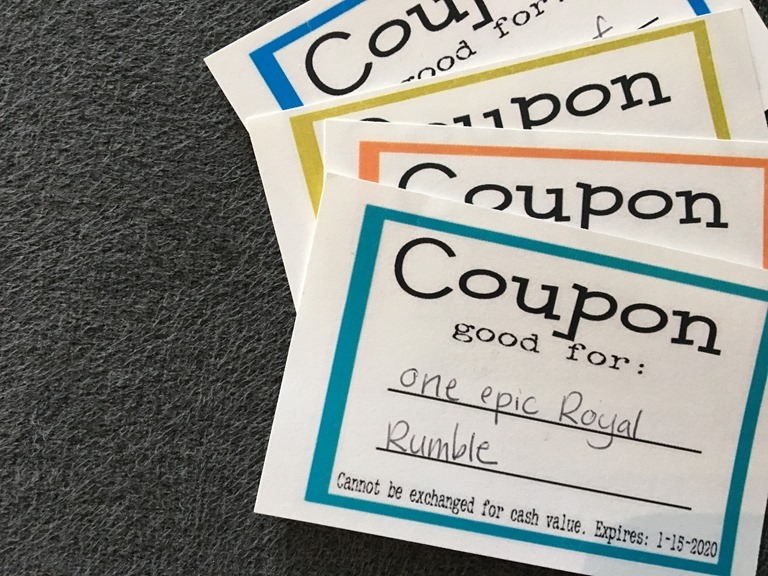 Gift #3: A handful of coupons. Including, but not limited to: one family royal rumble, double dessert dinner, his favorite breakfast, a few video game sessions, and one week immunity for his duck stuffie, which Kevin frequently punts “into next week.” I love the look on Leo’s face when he hands me a coupon. It’s a look that says, “I’m getting away with this, and there’s nothing you can do about it!” The coupons have an expiration date on them of January 1, 2020. The night of his birthday, he asked, “Do the coupons start to get moldy on January 1?” Not even joking. 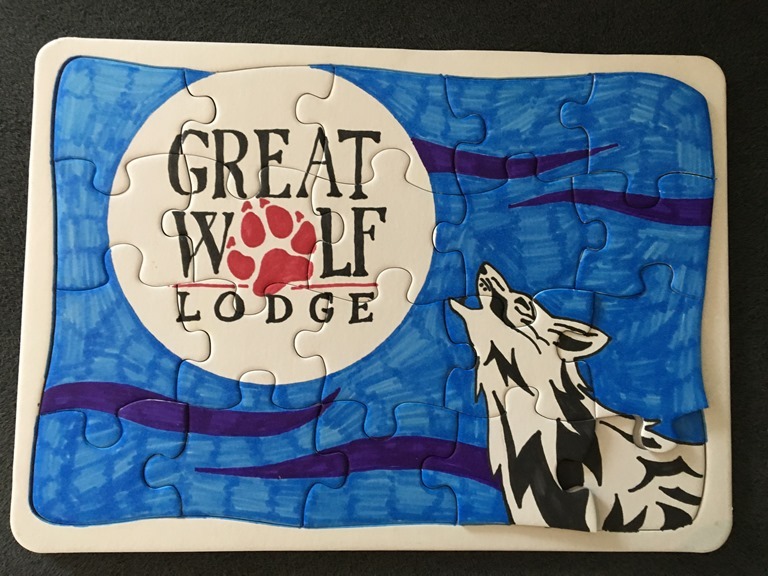 A trip to Great Wolf Lodge, presented in puzzle form. 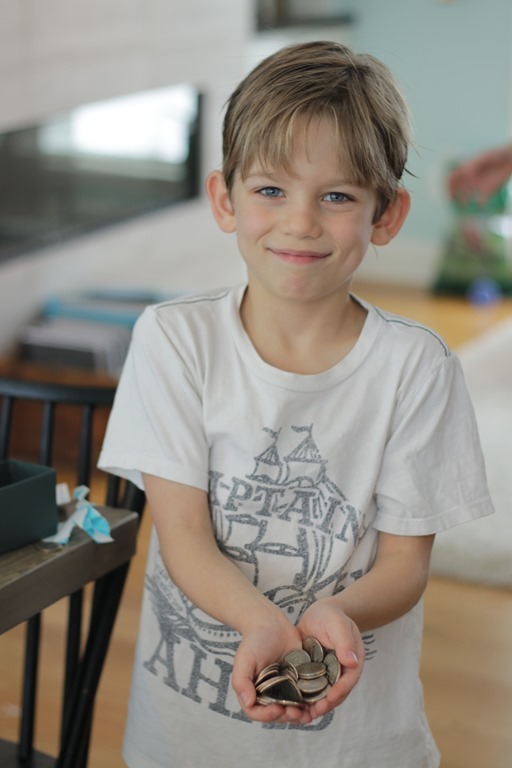 He opened it up to find a box of puzzle pieces, which he tossed to the side. “I don’t like puzzles.” We practically had to bribe him to do it, then we all sat there trying not to completely lose our marbles as he made all the wrong moves and yelled at us any time we tried to help. There were no fireworks when he finished the puzzle. I think we were all too emotionally spent by then to show any excitement. 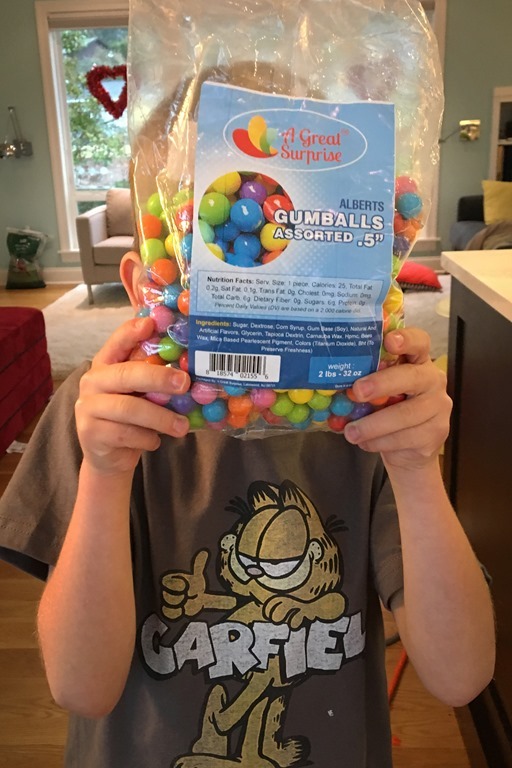 He is very generous with his gumball machine, which may have a little to do with why Rocco wanted to give him a two pound bag of gumballs. 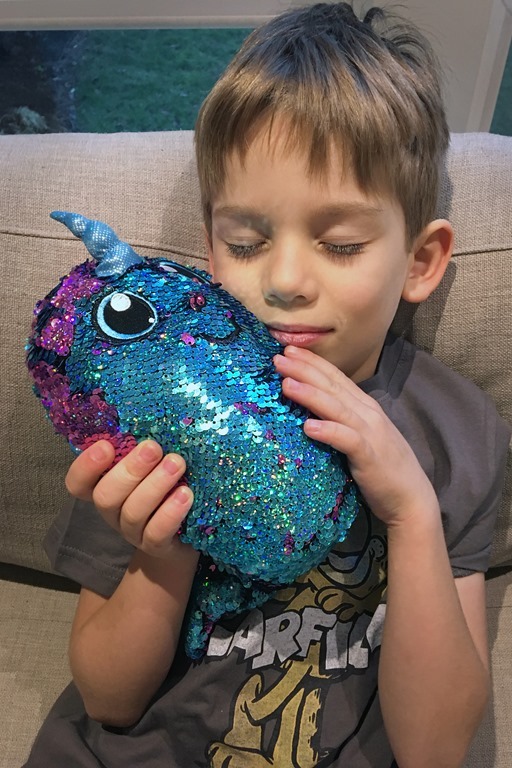 He loves sparkles, sequins, and stuffed animals. He loves them for exactly two weeks, then gives them to me to watch for him. I have started calling my bedroom the orphanage. 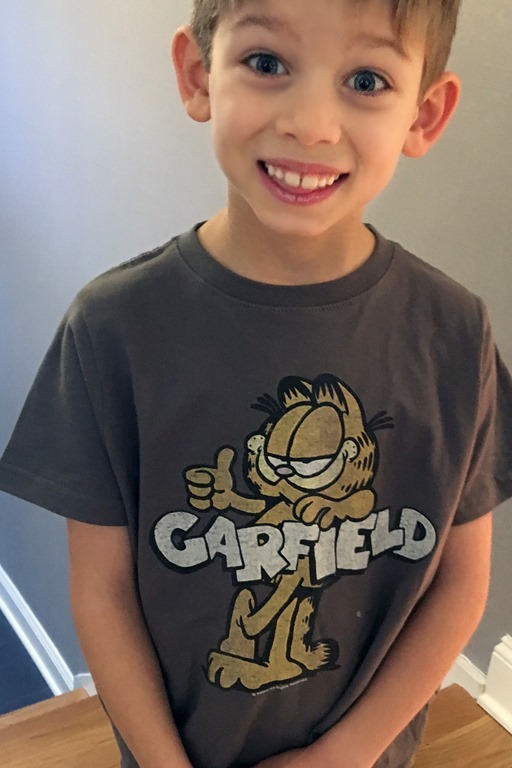 He’s obsessed with Garfield comics. He talks about Jon as if he is a member of our family. He’ll start laughing in the middle of dinner saying, “You know what Jon did the other day?” Yes, we all know what Jon did the other day. He tells us anyway and doesn’t even notice the rest of us have instantaneously fallen asleep. So the boy who had everything now has absolutely everything. It is truly a joy to spoil someone who asks for so little. I’ll post more about him tomorrow, once I run the numbers on his age again to make sure that he really is seven years and that it’s not a clerical error.